Carole and I decided to have some fun this year and create our own reading challenge! Since we love HRs why not challenge ourselves? Everyone is more than welcome to sign up and join in the fun. We are doing a bingo sheet to mark our reading progress! The rules are below. 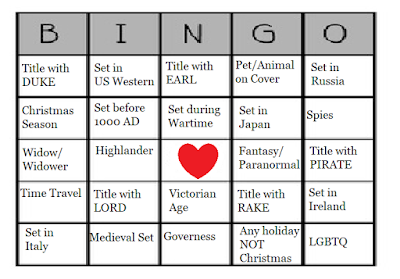 - You can try and read all of them or just do one BINGO line. Carole and I decided to have some fun this year and create our own reading challenge! 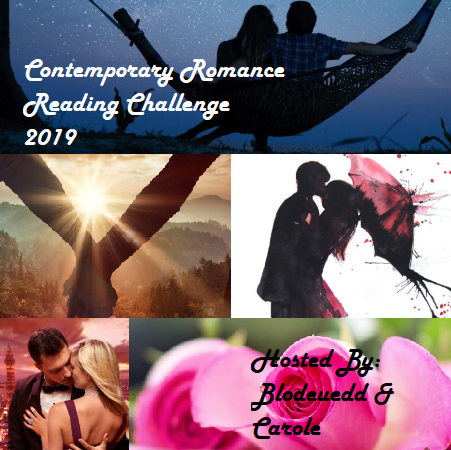 Since we love Contemporary Romances why not challenge ourselves? Everyone is more than welcome to sign up and join in the fun. Looks like a really fun challenge you have there. I have some fun ones too including a GR Across The Ages which will be a blast. Good luck! 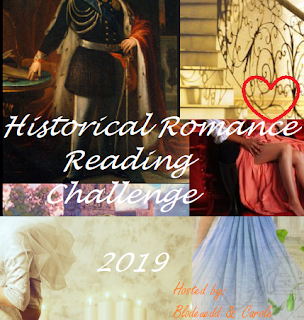 I'm not a fan of historical romance, but I hope you have fun with your challenge. Good luck. Happy New Year. Not just one but two of your own challenges?! You go! Carole wanted to do a HR and then I said let's make a Contemp too, lol! I stopped reading Historical Romance for the most part but I used to like them. I might try the contemporary one. 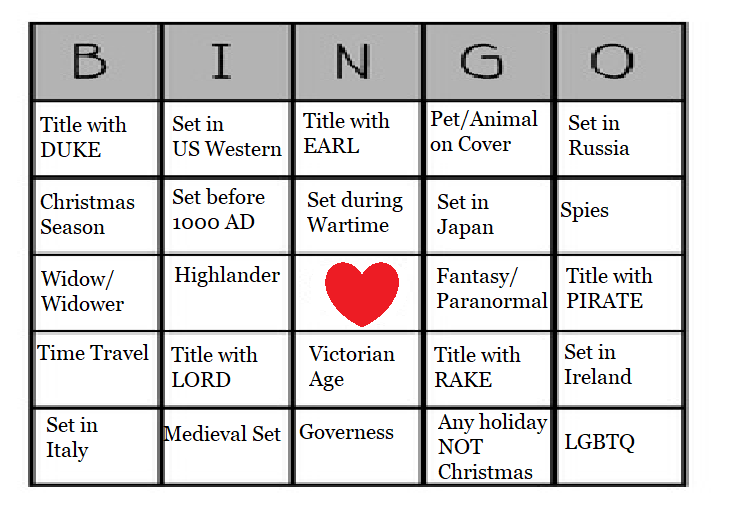 While I want to read more HR this year, I doubt it will be enough for Bingo. I might join when your linky opens up. I need to remember how to play Bingo, lol! Or you can go for them all! These are great! You gals are going to have fun. I love the BINGO challenge games, but I already have 16 challenges. 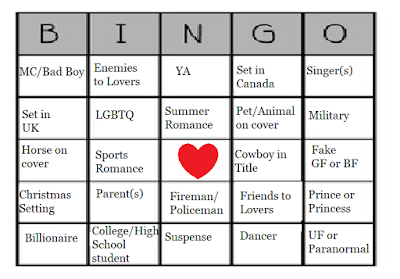 Maybe I'll do it unofficially on the side and officially cheer you both on toward BINGO!!! Good for you! I love that you are challenging yourselves. And GO DUKES! 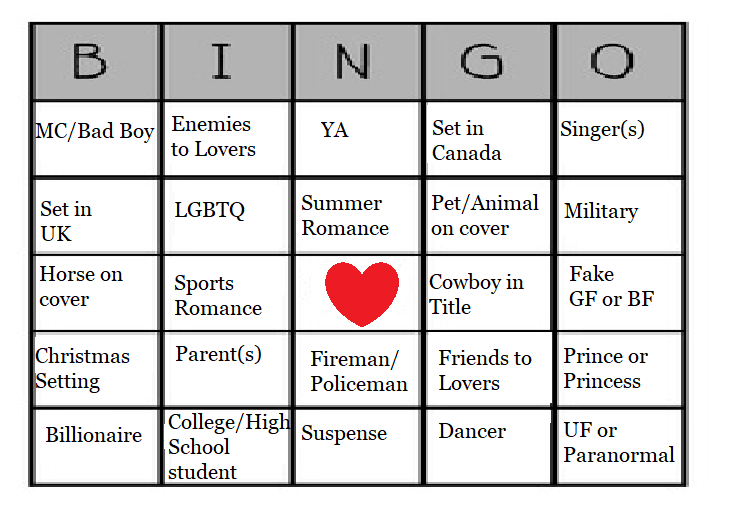 I think you need a BINGO table where every spot is a "DUKE" spot. hahaha! LOL. Omg so many Dukes! This sounds like fun. I haven't tried a Bingo challenge before.